I read this verse this morning in my devotional and it made me think about Dan and my life together. Whenever we are in the hospital, people say all the time that we are amazing. It makes us both uncomfortable. It’s not a pretending to be humble thing. As Dan said the other day, it’s like being thanked for breathing. Let me assure you that we are not amazing. We are human. We make mistakes. We haven’t done anything amazing. We just decided to be obedient when God called, stepped out in faith, and trusted God with everything. 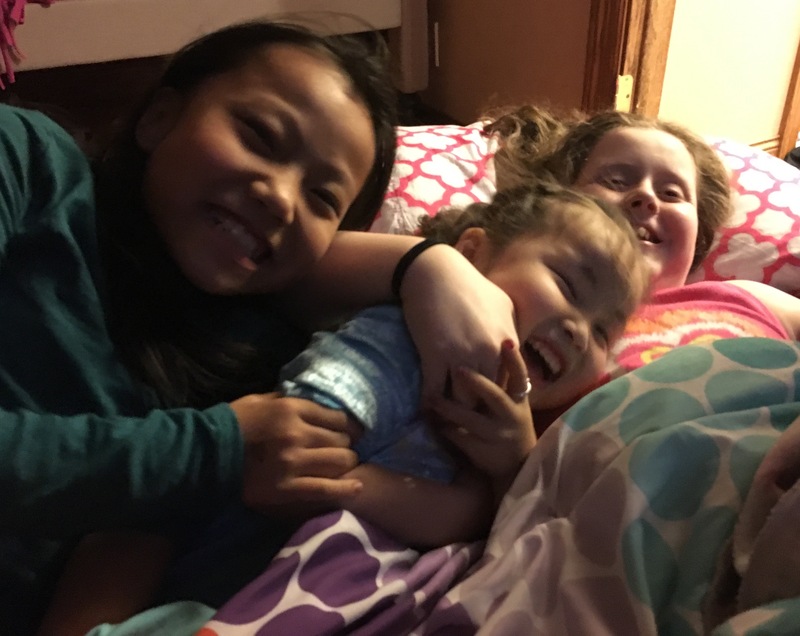 We didn’t set out to adopt a little girl with a major heart defect, but when face to face with a little girl who was alone and just needed a family to love her, what else could we do? When we did set out to adopt again, we were just going to do one more adoption. 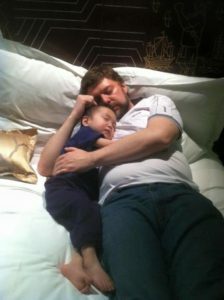 It made sense to add the second child when China made the option available. 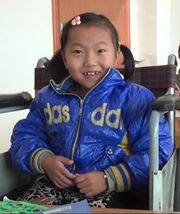 Hope really wanted to adopt a little boy with a heart defect and we would be able to do that. God lead again and we followed. It’s easy to pray to God to use you when those are just words that you are uttering. The hard part begins when He starts to show you what He wishes for you to do. You doubt yourself. Satan uses the world to whisper in your ear that you are not enough. You will never be enough. Dan and I are only human. So because of those doubts and fears, we put limitations on our obedience. We said we wouldn’t adopt an older child. We wouldn’t adopt a child who had severe mental delays. We felt that this would put an undue burden on our older children. If something happened to us, they would already be caring for Codey. How Could we ask them to do more? The very next year God lead us to 4 children, an almost 14 year old girl and a severely delayed little girl, plus two little heart kiddos. I won’t go in to details here, because I’ve written about it a lot in past blogs, but that year was an amazing year of God showing up and making miracle after miracle happen. We didn’t set out to adopt 4, but we heard Him loud and clear saying “put 4 on the homestudy” when we started. We had no idea what it meant. Then we set out to follow where He lead. We ended up adopting two more the following year. We knew we were probably done. 14 children, 11 of them with significant needs seemed like a good place to stop. Then my friend sent me JJ’s picture and said “Doesn’t she look like an Ellsbury?” and my heart was stolen by this sweet face so we agreed to advocate for her. When Elyse and Grace started talking about JJ being their sister, it was hard. Obviously we would love to help every child but know we can’t so we drug our feet. Elyse and Grace were insistent that she was their sister. They had every child in our house praying for JJ at every meal. They would talk about her as if she already lived with us. 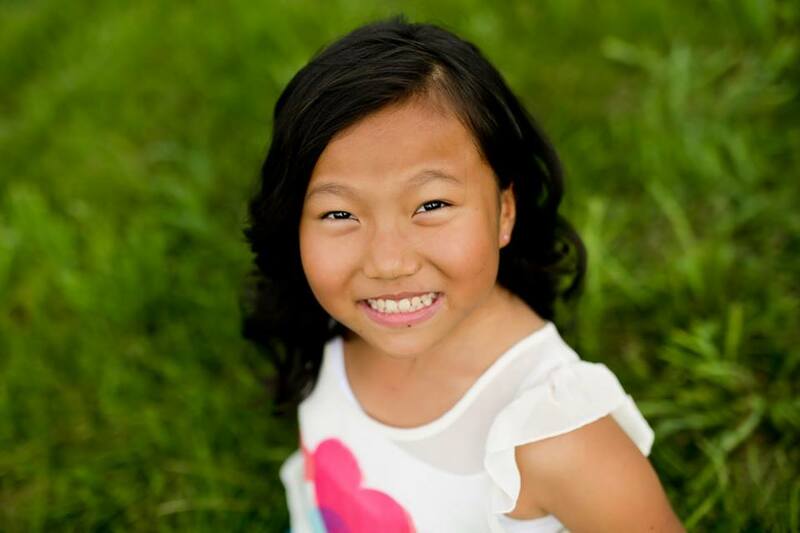 And when Elyse, who was lying in her bed after getting ready to go to sleep said, “If she dies in China, I will never be able to forgive myself.”, Dan and I knew we had to seriously look at whether it was right for our family to adopt her. Truth-be-told Dan and I knew instantly that she was our daughter but we did everything in our power to justify that we had done enough. But God didn’t let up on our hearts. Our hearts grew heavier and heavier for JJ. We see lots of children being advocated for. 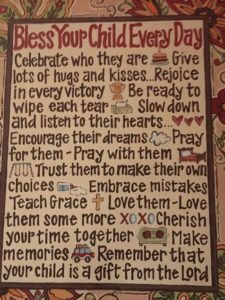 We pray for many children who have touched our hearts. Our hearts are touched for those children but it is more than that when you know that this is a child you should adopt. It’s almost impossible to explain. Your heart is heavy. You look at their picture constantly. You pray for them. You wake up in the middle of the night to pray and look at their picture again. I never heard God’s voice directly but I knew without a doubt that we were to proceed. Which leads me back to the verse above. “who by his mighty power at work within us is able to do far more than we would ever dare to ask or even dream of” We could have never in a million years dreamed up this beautiful life we get to live. I would have never dared ask for so many miracles or to be given such blessings. I believed I was too old. I believed it couldn’t be done. I limited myself by what the world told me could be done. — infinitely beyond our highest prayers, desires, thoughts, or hopes” We’ve been through countless surgeries, seen miracles in our healed children, and been given so much more than we will ever give them. I sometimes feel like we’ve used up too much of the good that God gives, as if God has a limit on the good that He bestows to His children. We are not amazing or stronger or braver than most, but we did choose to be obedient. We have seen God show up time and time again. We trust that He is perfect. We trust that His plan is good. We trust that He can make good come out of the bad. So when God called us to move out of the comfortable, we chose to move forward in faith and get more than a little uncomfortable and because we did this, we get the privilege of living a most extraordinary life. mis-sion state-ment (noun) A formal summary of the aims and values of a company, organization, or individual. Communicate a sense of intended direction. We have been working on our family’s mission statement for a while now. We wanted something that shows our children what we believe in, what we are striving for, and what our family considers important. It’s pretty easy, or at least it should be, for children who grow up in your house from birth to know what your family considers important. It’s a little harder when the children come to you much later in their lives. The language issues can make it difficult for quite a while. It takes years for them to have deep conversations about what matters. It takes a long time for them to understand what is important to your family. 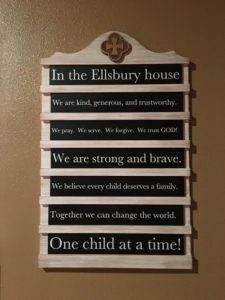 We wanted our children to be able to say that they were an “Ellsbury” and this is what their family stands for. 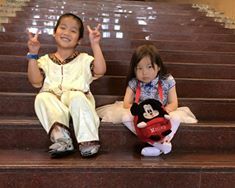 Because so many children have special needs and medical issues, we wanted them to be able to say they were strong and brave in times of trouble. We wanted them to understand that we strive to help other children and families. We want them to be generous of their time, their gifts, and the money God gives them. We want them to be trustworthy and kind. We want them to have a great foundation of faith to build their lives on. We want them to trust God and His plan. We want them to know that even though we can not help every child, we can help children one at a time. 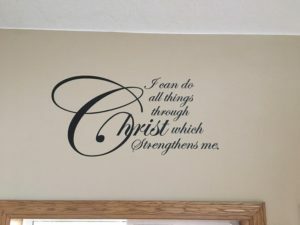 I have a thing for quotes and Bible verses. Anyone who knows me well can attest to this fact. I especially like them out where I can see them. 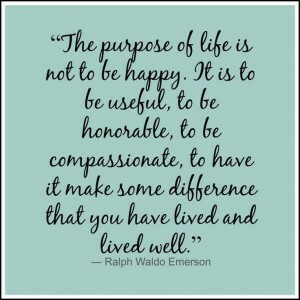 Being an imperfect human being, I like daily reminders of how I am supposed to live my life. I wanted our statement to be something that we would see every day. I thought about having it framed. But I just couldn’t make up my mind. 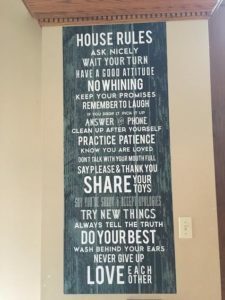 Then one day on Facebook another mama posted her family’s statement on this really cool board. I asked her where she purchased it and she said Mary and Martha. 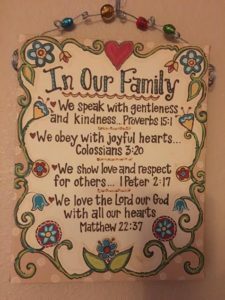 You can order this board that comes with four song verses on chalkboard tiles that you interchange ($120) BUT you can also personalize your own chalkboard tiles for $18 for the set of 7 boards. Now it is front and center in our living room. 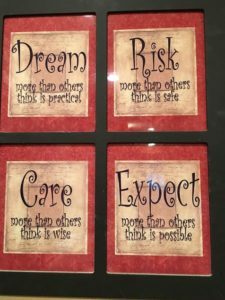 If you haven’t already put what your personal or family’s mission statement is on paper, I highly recommend it. 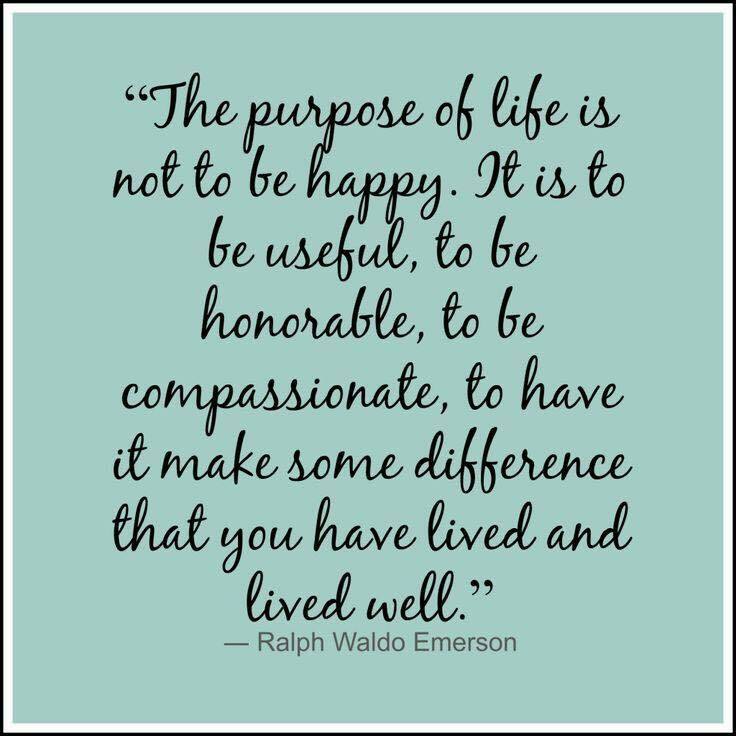 Otherwise we waste years of our lives striving for things that aren’t really important to us or aren’t what we want our lives to stand for. Dan and I started out like most other people. We met. We fell in love. We got married. We dreamed of our first little house with a garden and a white picket fence. Someday we would drive cars that didn’t break down weekly. We would have a couple of kids, visit our family on holidays, go to church on Sunday, and lead a happy, comfortable life. After a couple years of marriage, we had the twins. Codey and Kyle threw us for a loop but pretty soon we were back to our old comfortable dreams. The death of a son and 14 months in the hospital surely meant that from here on out our lives would be easy. Zach and Cassie were born. They grew up. They were bright, sweet, caring kids. They excelled at school. We dreamed of the day we would buy a bigger house and take nice vacations. They would go to college. Dan and I would retire and travel. We were living the American dream. 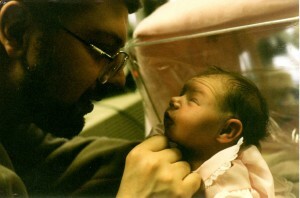 Then one day a little girl was born in the NICU where Dan was doing his fellowship. 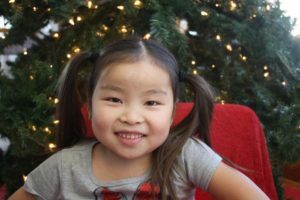 The pre-adoptive parents chose not to adopt her because of her heart defect and the bio parents chose to not to pursue treatment options, which meant she would die in the NICU without a family. We had a choice. We could step up and do something or pretend there was nothing that could be done and just stand by and watch her die. When we decided to do something, most people believed we had lost our minds. We were questioned about it over and over again. Why would you bring a child who may die into your family? You are going to ruin your life. How will your other children survive the pain? Your are going to ruin your children’s lives. Over and over again we heard those words. You WILL ruin their lives! Well, it’s taken me years to get to this point, but today I’ll admit it. It’s true. We ruined their lives. I’ll own it. Heck, I’ll even go so far as to say it was the best darn thing that ever happened to them. Although I once feared ruining our children’s lives, I no longer do. In fact, I love that their lives have been ruined. In fact, I praise God that it happened so early in their lives. My eyes were closed to the pain and suffering of the world for way too long. I lived in a very small comfortable bubble. They, however, understand how beautiful life is and how fleeting life can be. They know more medical terms than any child should know. We ruined their normal, comfortable lives and filled their days with G-tube feedings, seizures, heart caths and surgeries, kidney failure, lower limb paralysis, SMA, PKU, brain damage, incontinence, and chemotherapy. They know what it means to spend many, many days, weeks, and even months in the hospital. We brought hurting children into our home not once but 11 times. We ruined their picture perfect life. We made our kids share their home, their rooms, their parents. We’ve made them sit through doctor’s appointments and surgeries. They’ve cried tears over shots, blood draws, and i.v. starts. They’ve held trembling hands, wiped away tears, and been filled with fear as their sibling was taken away for surgery wondering if their sibling would ever come home again. These things that we feared would ruin their lives for the worse have in fact made them better humans. These things have opened their heart to others. They don’t see the world the same way that others do. How could they? Adopting has opened their eyes to those who live without a mother and a father. It opened their eyes to what orphanage life is. It made them appreciate what they have. They have been ruined for the ordinary because they have seen miracles in our home. Children who shouldn’t be healed are in fact, healed. They know how fleeting life is because there are children, who are NOT guaranteed tomorrow, running and laughing through our halls. They understand that it is better to love with your whole heart and maybe hurt later, than to never have known the love of these sweet souls. They know that intelligence doesn’t make you a better person. They know that taking care of the least of these may not always be easy but it is worthwhile. They know that little souls who never utter a word can speak volumes. They know there is no greater blessing than allowing God to work in your life. They know that being obedient, even when it scares you, brings blessings beyond measure. Our children are not perfect. They still make mistakes. We all do. But what I know for sure is that God has ruined them for what the world stands for and instead has showed them what He values above all else. I praise God daily that they are no longer unaware. “You will ruin your other children’s lives! But now I embrace those words and I celebrate them. We have been ruined for the ordinary and instead have embraced the extraordinary! Up again with Lainey at 4 a.m. My clock has been reset from daylight savings time, but Lainey’s has definitely not. 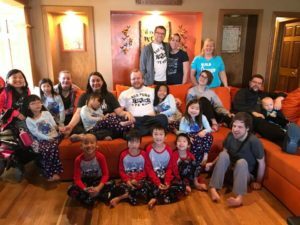 I have been looking through my drafts on my blog – 15 half written posts, including our homecoming post from our last adoption, which just happens to have been one year ago. 15! So why am I taking the time to start another one? Because I believe Elyse’s question deserves a blog all it’s own. Yesterday my brother brought my grandma down to visit. Elyse has seen my grandma one other time in the year she has been home. 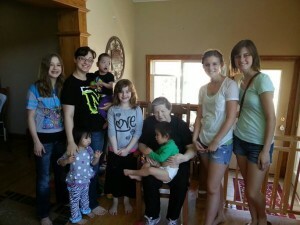 While Elyse was talking to my grandma and Tracy, she asked them, “Do you know the love of Jesus Christ?”. They stared at her and I clarified that she did indeed ask them what they thought she said. They answered in the affirmative and Elyse was so very happy. It wasn’t that long ago that Elyse asked another adoptive mom if she knew the love of Jesus Christ and if she loved children. On our way home, Elyse informed me that I could indeed be friends with this mama since she loved children and Jesus. I’m never quite sure what to say to Elyse when she does this. She does this fairly often with strangers. I always get uncomfortable and flustered. 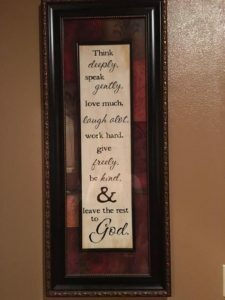 I was raised in a quiet church. No one prayed out loud. No one asked others about their beliefs. We sent missionaries out into the world but nothing was said close to home. We didn’t ask our family about it. You were quiet and private about your life with God and your prayers. It’s just the way it was. 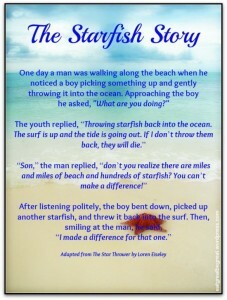 Many may have already heard this story but I will do a shortened version again for those of you who may not have heard. One day I was sitting on a bench at the Iowa State Fair and a stranger started talking to me. I can’t remember what we were waiting on but I had been there a while and we discussed many things. She asked me about my family. I said I have 5 children and mentioned their names, including Hope’s. She proceeded to tell me that she loved the name Hope and told me about a little girl that her church had been praying for and the miraculous story about her life. This random stranger told me all about MY Hope. It was then that I realized God’s story was being told whether I was saying anything or not. I never talked about Hope’s life because I didn’t want people to think that I was tooting my own horn. We were blessed by having her in our life. We weren’t saviors. 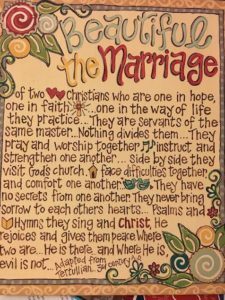 We were just two people who had decided to be obedient to God’s call and were blessed to be a part of her story. I did realize in that moment though that even though I was refusing to tell of God’s miracle, His story about Hope was still being told. It just wasn’t me doing the telling and I was the one who had seen it first hand. How could I not share this miracle that we were allowed to be a part of? So many things had to line up for her to be in the NICU at the same time that Dan was, I still stand in awe of what occurred and it’s been 16 years. The above story was what lead Dan and I to decide to share our adoption story. We prayed about it for quite a while. 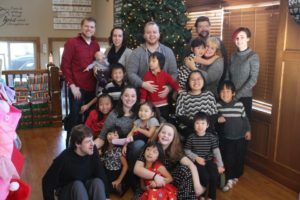 We knew it would be hard for us to talk publicly about it, but that adoption stories needed to be told. People need to see that yes it is hard but it is such a blessing too. Dan is a pretty private guy so this decision truly was a hard one. I’m a talker but I talk about fluff. I am not able to stand in a group and gush about God’s glorious provisions. We knew what being public meant, that it was opening ourselves up to criticism and scrutiny, but we felt it was worth it if we could make adoption not seem so scary and help another child get adopted. Dan and I knew we were being blessed by being obedient. We had no clue all of the wonderful miracles that would happen along the way. The past 4 years have blown me away. God has shown up time and time again. I am so totally undeserving and yet have been blessed just by uttering a “yes”. 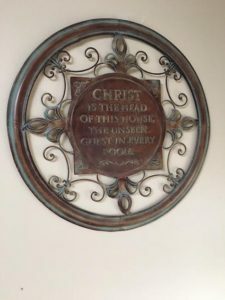 So this begs the question, “Why wouldn’t I want to ask everyone I know if they too know the love of Jesus Christ?” When God has done so much in my life, why would I not want to share? God is such an important part of my everyday life why do I still get so flustered? I don’t know. I guess I will blame it on all those years of being trained to be quiet as a child. I love that Elyse is not afraid to ask. I love that she wants you to feel the same joy she has. Elyse is so sure of God’s love. She is a very smart little girl and has embraced God having a plan for her life. She understands that God didn’t intend for her to lose her first family or for the bad things that happened. She understands man has free will and can choose what he does. She does see the good in Dan and I being obedient and saying “yes” when we saw her picture. She prays for all the other children who wait. Elyse firmly believes those children wait just because someone else hasn’t uttered their “yes”. I am so very happy that we said “Yes” when we saw this picture. So if you one day meet Elyse don’t be surprised if you hear these words, “Do you know the love of Jesus Christ?” I will be standing there with a smile on my face wishing I could have the same child-like love for a God that deserves me standing on the corner shouting for all the world to hear…. Yesterday was Dan’s birthday but it was me who got the present. I had been in the basement cleaning. As I was in the basement, Jasmine and Elyse apparently had a very indepth conversation of the first time they met me. I know that Jasmine has been thinking a lot about this because she has told me her next blog is about me and her China mom. I am anxiously awaiting this blog because she does not talk about her China mom very much. Jasmine talks about her grandma who cared for her, but she has only mentioned her mom in passing, and the words were said with much pain. I have told Jasmine over and over again that she can talk freely about her time in China and the people who cared for her, good or bad. I am not jealous that others loved her. In fact, it is just the opposite, I am thankful. Thankful that she knew love from others for a while. Thankful that people loving her showed her that taking a chance on family was a good thing. I am not happy she went through what she went through but I am thankful the road led her to us. I once was nervous about being the adoptive mom. When we brought Hope home as a baby, I felt like it was a competition. Would her biological mom one day come back into her life and I would be forgotten? All those fears and questions that you have when you first start out. It didn’t take very long for me to understand those feelings weren’t true. Hope could love me and her bio mom. She could care about me and the woman who brought her into this world. It wasn’t a competition. It isn’t an either or thing. I have explained that to Jasmine and to Elyse. It is okay to talk. It’s okay to care. You don’t have to forget. I want you to pray for the people you remember, good and bad. I want you to heal and know your place here is secure. I want you to know that you are forever a loved daughter and nothing could change this. When we adopted Elyse, she had a very hard time with me. I was old and I was fat. These were not very appealing characteristics in her eyes. I cried and talked to Dan about this because, in the beginning, it hurt. The facts were true, I am overweight and I am old, but they still hurt. He would remind me over and over again that our children love me. 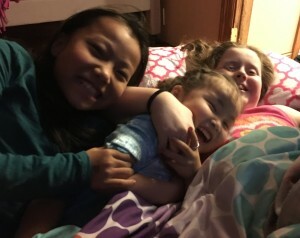 When Elyse comes home she will see that love and she will want to be a part of that love, but I worried that maybe this would be the adoption that changed everything. This would be the adoption where the child never learned to love me. My heart would be hurt. How would I deal with this? I was afraid. But last night Elyse gave me the sweetest gift. She asked for my forgiveness. She cried tears and told me that she was so sorry she hurt me. I reminded her that it hurt for the first couple of days but I got over it quickly. I hadn’t even thought about it in a long time. She said she didn’t know any better and she would have never said those things if she knew me. She cried and she cried. I told her that is the way it often is in life. We judge people based on what we see. We are all guilty of it. I asked her if she learned anything from her mistakes and she said “oh yes!” These are the things I had always been afraid of. These could have been words spoken by Dan and I. It’s always been scary. It’s always seemed like more than we could do. Always! Even in the beginning. We can’t live through the death of a child. Yes, you can! We can’t live for over a year in the hospital. Yes, you can! We can’t adopt a child that may die. Yes, you can. Again and again and again! We can’t handle a child with severe disabilities. Yes, you can! We can’t heal hurting hearts. Yes, you can! We can’t handle a large family. Yes, you can! We would have missed out. Don’t miss out. Take action! Assume God means for you to take action. No matter where your passion lies. God’s book lays it all out there. Care for the orphan. Care for the widow. Feed and cloth the poor. Take care of your brother. Love your neighbor. The need is great. Take action today! Don’t wait. I don’t know why this happens. I don’t know why one story is one of miraculous recovery and another is of heartbreak. I can’t make head or tail of it. I try to fathom God’s plan and how it will all work together to bring Him glory and many times it is more than I can wrap my head around. We never want the bad to happen. We never want to take the difficult journey. We choose ease and comfort whenever we can. Even when we sign up for the bad, we do it with a heart full of hope for a miraculous outcome. And we know that in all things God works for the good of those who love him, who have been called according to his purpose. Romans 8:28 How could anything bad ever be considered good? As I was talking to a friend yesterday, we were discussing the what if’s. This was after a weekend which just about did my heart in. You can NOT discuss orphans without discussing the magnitude of them. You can not truly delve into the situation without your heart breaking. You can’t consider all those who wait, all around the world, and not feel helpless and unable to make a difference. All you can do is proceed one child at a time because every child counts. Every child deserves a chance. Even though people are turning away from adoption. Even though there is not enough time or money to fix it all. Even though there is pain and heartache and turmoil. Even though your heart may be broken. Even though you can’t fix it all. Even though it is overwhelming. 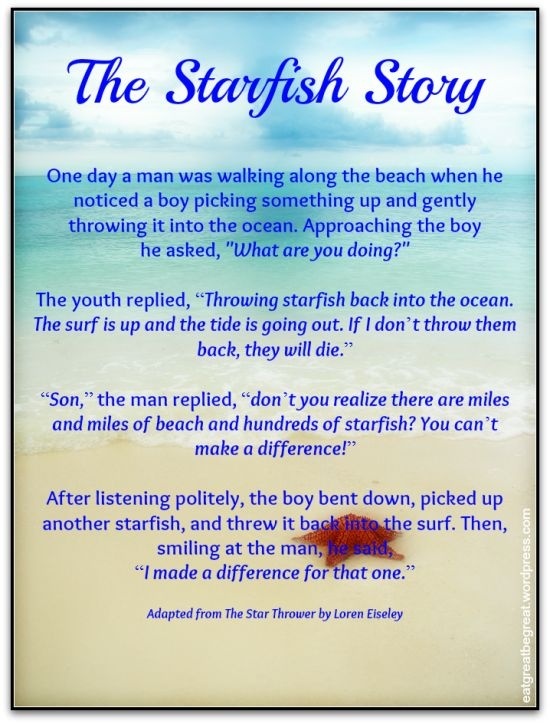 You continue to proceed one child at a time, much like the starfish story. My friends understand this. They have a clear picture of how fleeting life is. They are in the absolute worse situations possible and they give God the glory. They know that a life saved and loved is worth it. They rejoice over what they have been allowed to do, no matter the outcome. I do not wish for any of them to be on this journey but I know, from experience, that they will never be the same. God is growing them and shaping them. Their lives are not worse because of the pain. Their lives are immeasurably blessed by the joy that these children brought. Yes, their hearts will hurt. Yes, they will never be the same. But there is joy in the morning. There is joy in the good news. There is joy in the meeting again for all of eternity. Life on earth is but a small portion of forever. The goal in life is not to be as comfortable and pain free as you can. The goal in life is to open your heart and love and make a difference.